We want neither to be absorbed by the infallible magisterium of catholicity (‘ever-closer union’), nor isolated by the nationalism of puritanical reformation (‘out’): we want, instead, a particular ‘British model’ of EU membership – let us call it ‘Associate Membership’ – and say that it is both catholic and reformed: a true via media perched tentatively between the two extremes; sensitive to the national psyche, offensive to no one, which suits the essential disposition of the people. And let us enshrine this ‘British model’ of Associate Membership in law: let us assert its sovereign supremacy by Act of Parliament, and detail its derogations from the precepts of the Treaty of Rome for the peace and security of the realm. For, as it has been found by experience that it is inconsistent with the safety and welfare of the United Kingdom to be governed by the European Commission.. 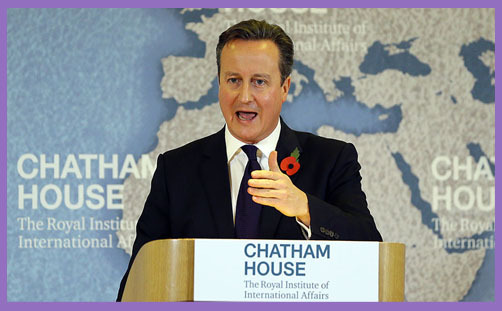 There is a feeling of déjà vu, of constitutional precognition, in David Cameron’s ‘demands’ for EU renegotiation. In his Chatham House speech, he talked about tinkering with welfare paid to EU migrants, but refuses to address the fundamental free movement of peoples. In his letter to Donald Tusk, President of the European Council, he says he wants a ‘legally-binding’ opt-out from ‘ever-closer union’, but insists again and again that there is no need for a new treaty. How can there be a ‘legally-binding’ amendment to the Treaty of Rome without a new legally-binding treaty to amend the Treaty? If there is to be a new treaty, it will trigger referendums in many EU member states. What if one member gives the ‘wrong’ answer? How can there be a unique UK derogation from the preamble to the Treaty of Rome when the European Court of Justice looks to its clauses for all other member states? “What is Associate Membership?” asks the Bruges Group, in a timely if not prescient booklet. “In short, the answer is: it’s not entirely clear as to what it is at this stage,” comes the response. It is nebulous: politically formless and legally foundationless. David Cameron hopes to secure a number of relatively modest ‘legally binding’ assurances while the ECJ will continue to look to the overarching treaties to which the UK is a legally-bound signatory. EU law remains supreme: sovereignty is still ‘pooled’. British citizens can still be arrested under the provisions of the European Arrest Warrant and carted off to languish in a Greek prison. This isn’t about welfare benefits or economic competitiveness: it is about justice, sovereignty, uncontrollable immigration and democracy. For as long as the European Union remains oblivious to the voices of its peoples, it cannot fulfil its stated mission of the pursuit of peace and reconciliation. The EU is morally infallible, judicially immutable and politically unreformable. Make whatever ‘demands’ you like, Prime Minister. They can and will change nothing. We must leave.